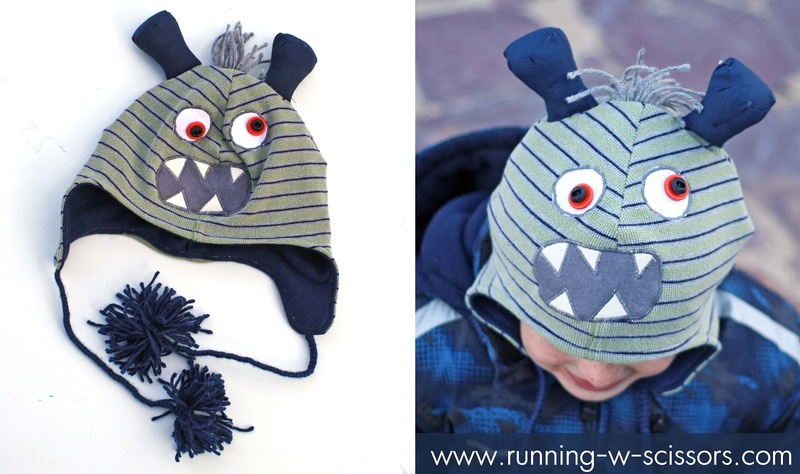 Make DIY Monster Hats - a great DIY Gift Idea! 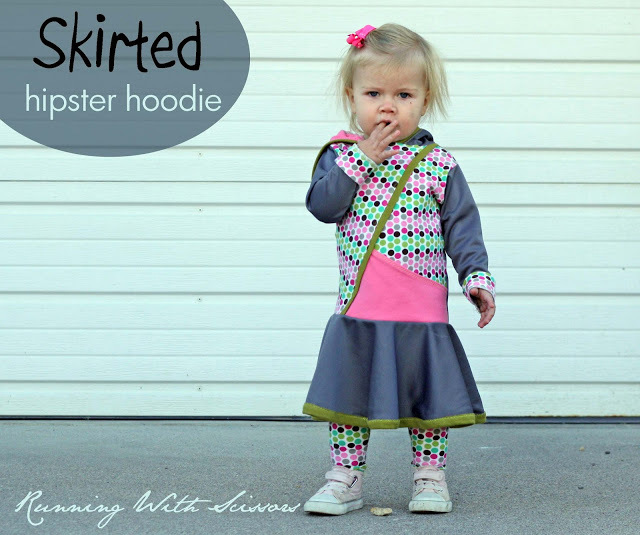 I’m Jessica from Running With Scissors and I’m excited to share a simple sewing holiday gift idea! 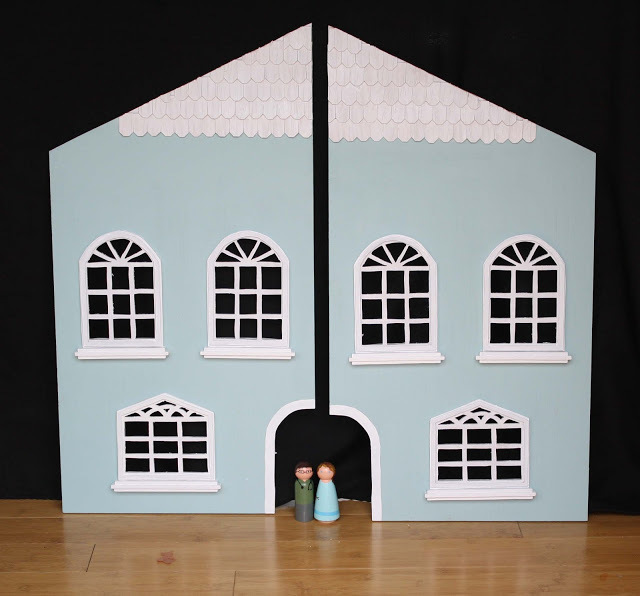 I love handmade gifts, (check out the dollhouse I’m hoping to finish by Christmas) and I love sewing for kids–especially boys (you might remember my dino tails). Even though this pattern and tutorial may be coming too late to sew in time for Christmas, you could always make some as a gift from Jack Frost. At our house Jack Frost leaves you little things Santa forgot on New Years Eve if you leave your stocking up. 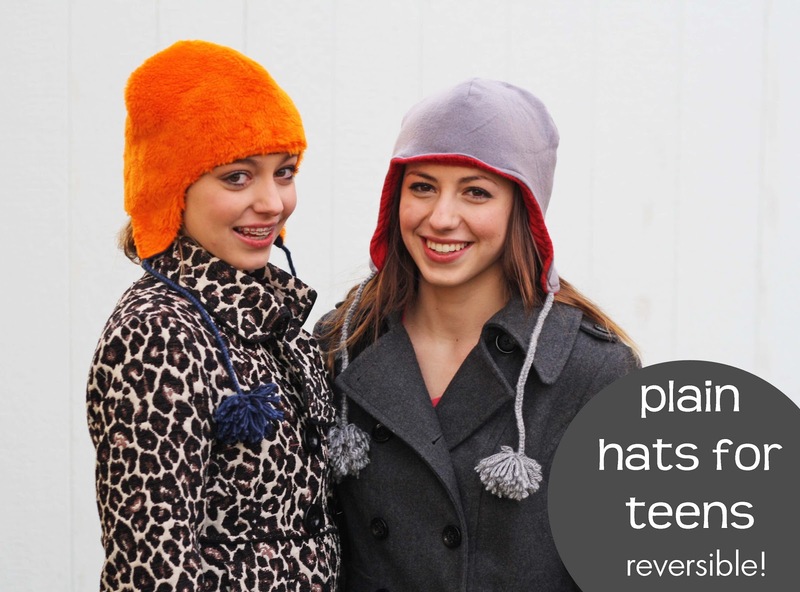 Or if you don’t have kids on your gift list this year, you could use the pattern to sew some plain hats for teenagers–these ones are for my nieces in their high school colors! 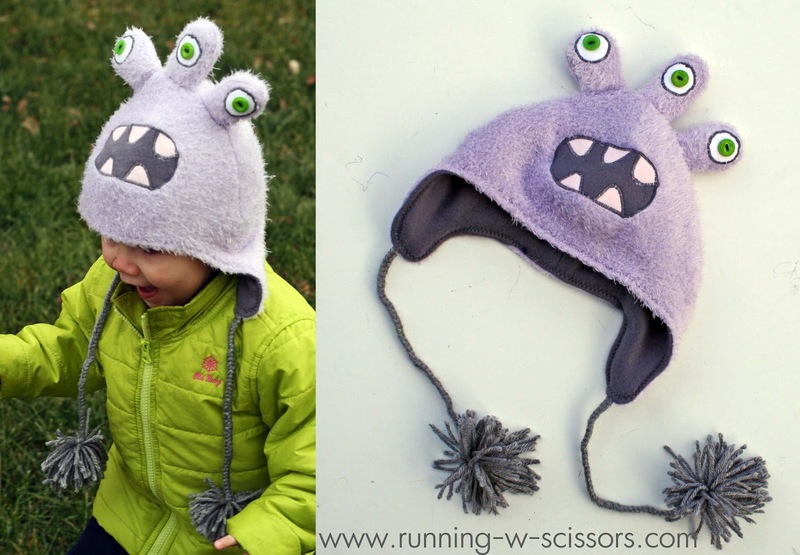 To make these plain hats, follow directions below but skip all the monster face additions. But on to the monsters! 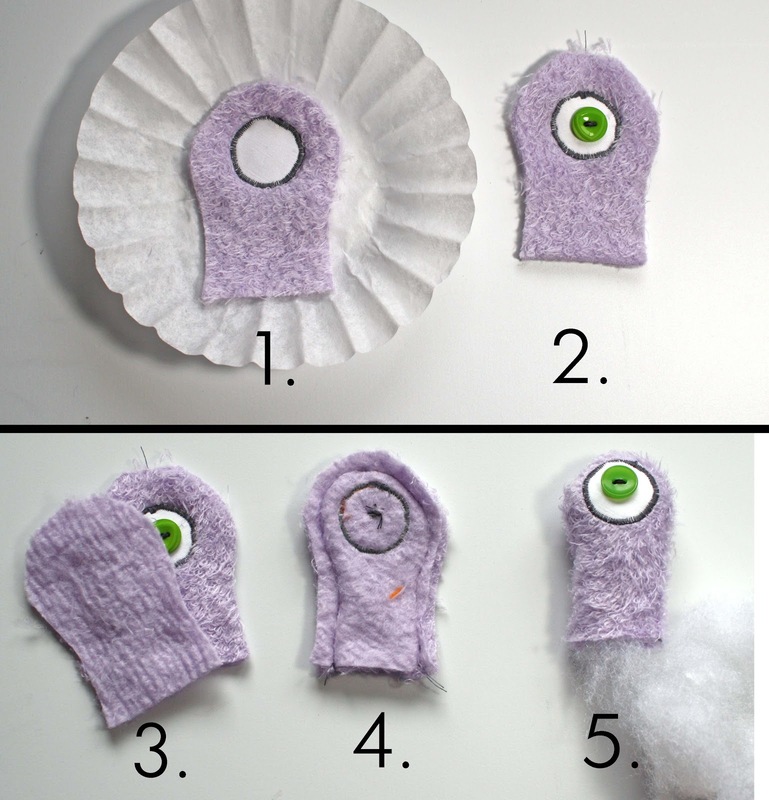 I really wanted to share both monster variations but didn’t want to bog down Jen’s series with a massive post, so this tutorial is just for the three-eyed monster hat. **Please be respectful of my designs and only use for personal use. Not intended for commercial sale or manufacture, even on a home based scale. Cut out hat piece from lining and outer fabric, taking note of the fold on the pattern pieces. For the three eyed monster you’ll need six eye shapes from your the fabric. 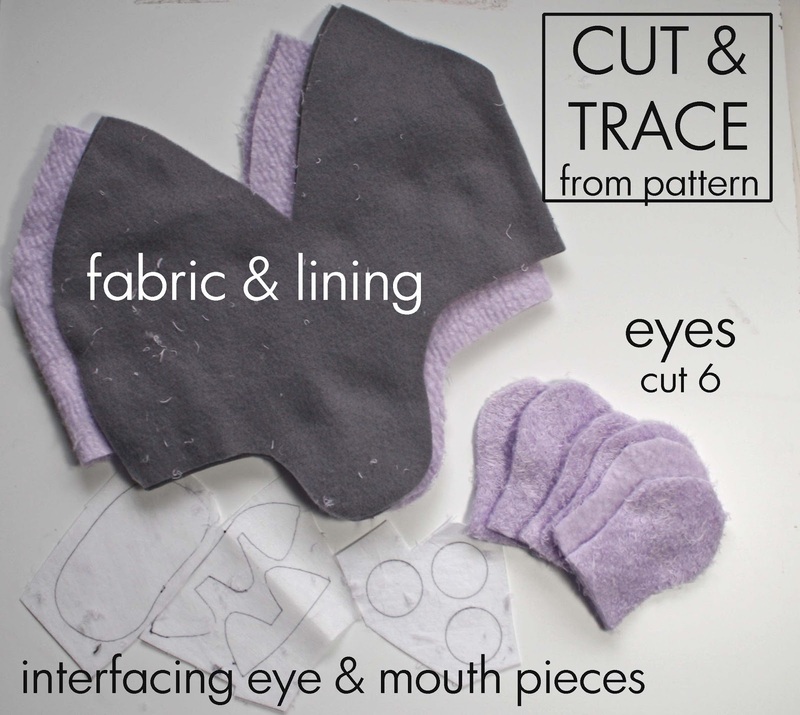 Trace the mouth pieces and eye circles on fusible interfacing. Select the scraps for monster elements and iron interfacing according to manufacture instructions to wrong side of fabric. 1. 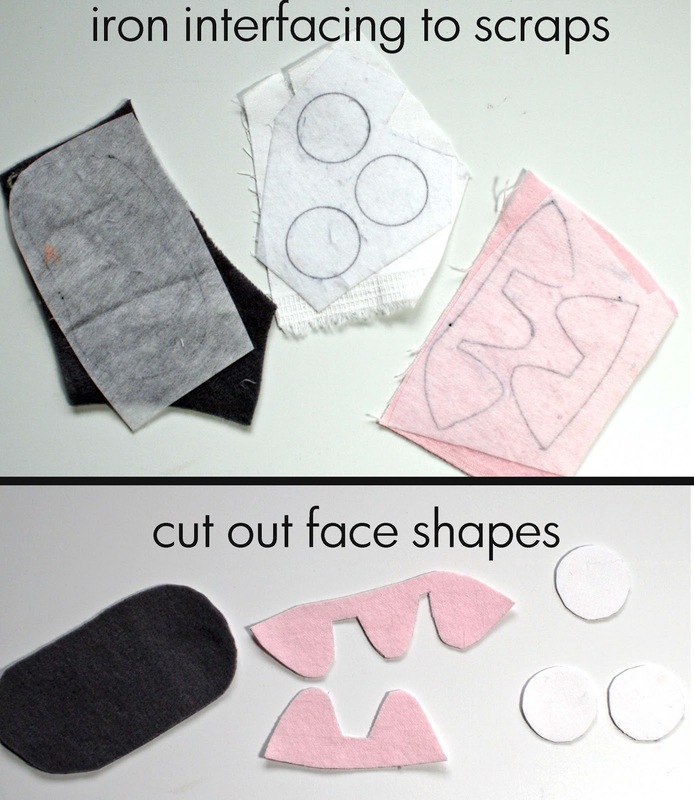 Sew the eye circles on right side of three eye fabric shapes. I use a narrow zig-zag stitch with barely any stitch length (applique stitch) to make the thick applique border. If fabric has stretch, use a coffee filter to stabilize. 2. Sew on button eyes using black thread to create the pupils. 3. Take remaining three eye fabric pieces and place (right sides together) with a button sewn eye. 4. 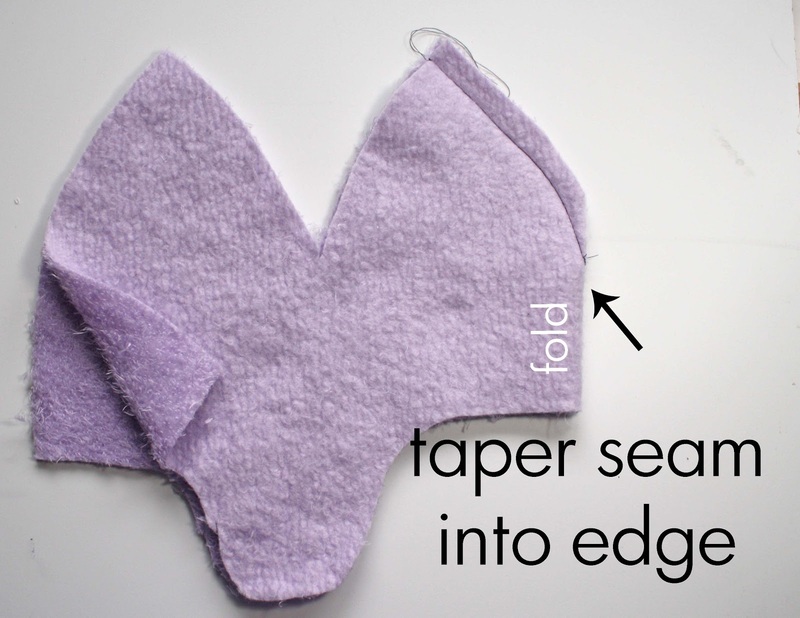 Sew around edge with 1/4″ seam allowance, leaving bottom open. Sew center front seam with outer fabric. 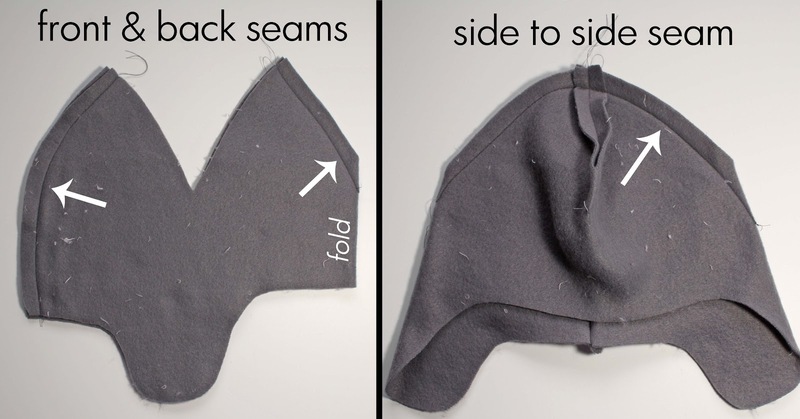 Using 1/2″ seam allowance, sew from pointed top of hat to fold. 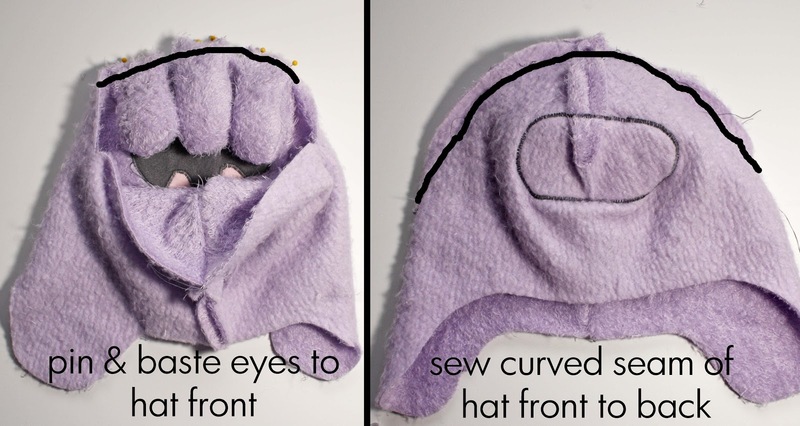 Rather than just sewing off fabric to create a point, taper seam into fold to create the curve of the front of the hat. Pin teeth to mouth piece. 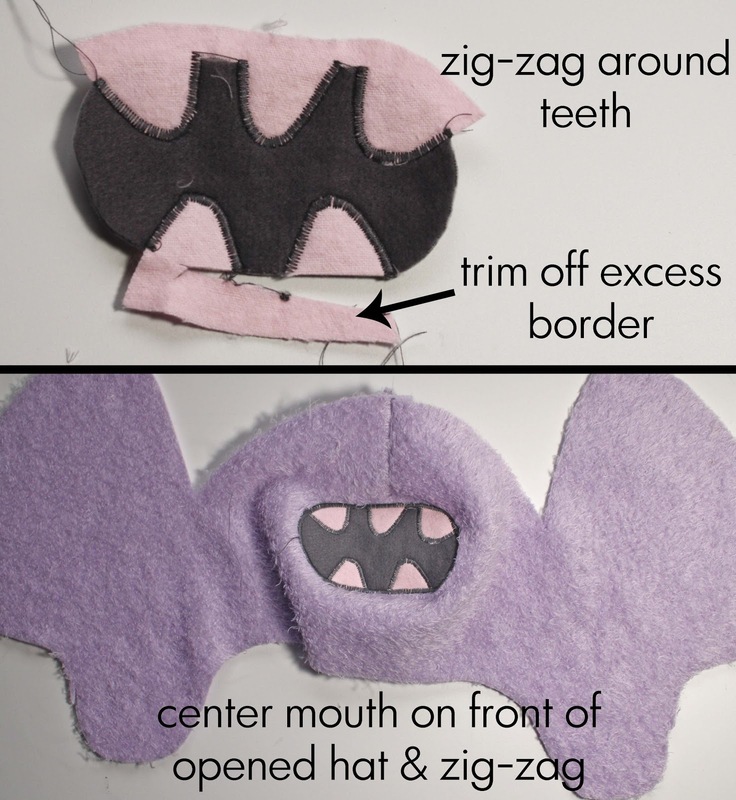 Using same applique zig-zag stitch, outline each tooth, sewing it to mouth piece. Once teeth are sewn on, trim away solid bars along mouth piece edge. 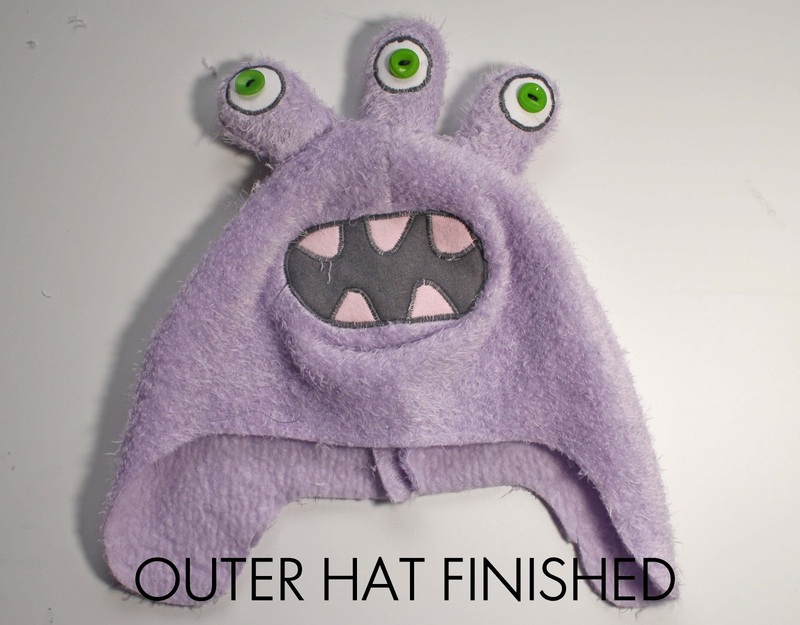 Open outer fabric hat and pin finished mouth to center of hat vertically. Sew around mouth with applique stitch. Sew center back seam opposite fold (with right sides together). Pin finished eyes to hat front, making sure the front of the eye is right sides to the mouth. Pin one eye on center seam, then the other two 1″ to each side. Baste eyes to hat, making sure you sew through stuffed batting to help eyes stand up when finished. Line up hat right sides together (front to back) and sew curved seam that goes ear to ear. Sew seam, remembering to taper into folds on each end again. Eyes should be facing forward when turned right side out. For the braided strap, cut 12 pieces 36″ long each. Separate them into two sections of 6 strands. For the pom-pom, cut 50 to 75 short strands 6-7″ long. Cut the stack in half to make to two piles of 3 to 3.5″ long strips. 1. 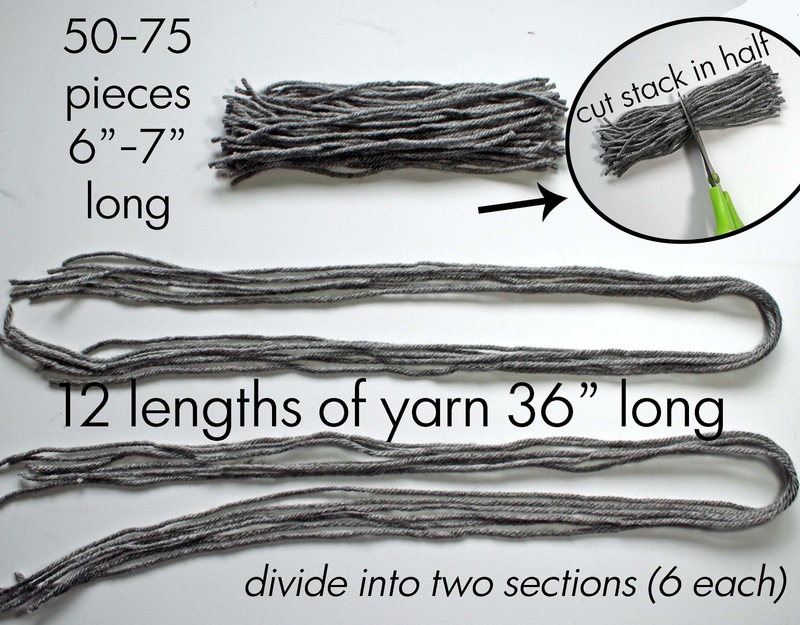 Lay out one section of 6 (36″ long) strand of yarn. Find center and lay one pile of short yarn across. 2. Tie long yarn ends around center of short pile. 3. Pull as tight as you can, making the short pile squish into a pom pom. 4. 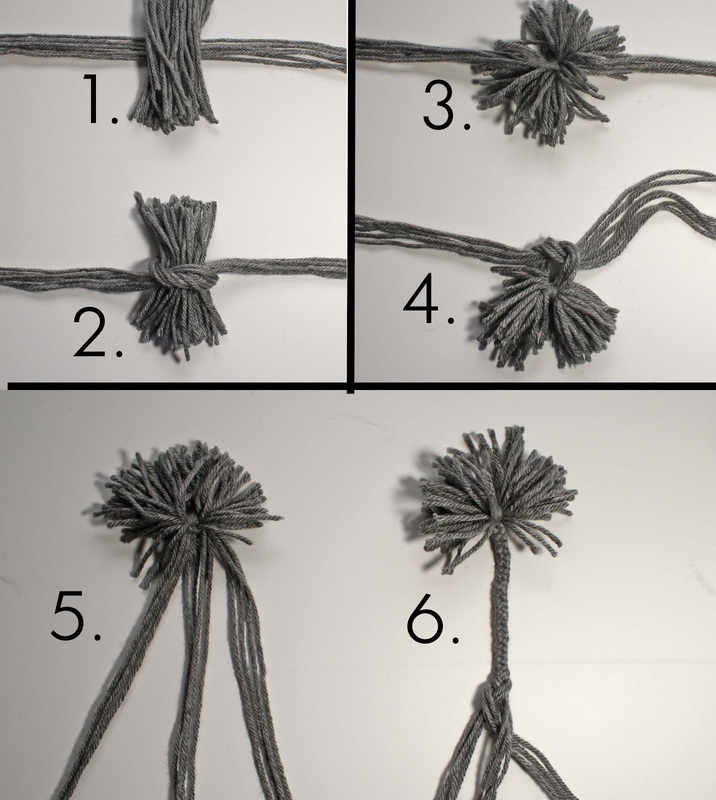 Tie another loop on top of first to create a square knot, pulling it as tight as you can again. 5. Separate long strands into three sections, with 4 pieces in each section. 6. Braid long strands tightly to the end. Sew lining into hat, first sewing the front and back seams, then lining seams in the center and sewing the curved seam from ear to ear. Remember to taper all seams into fold for rounded smooth shape of finished hat. 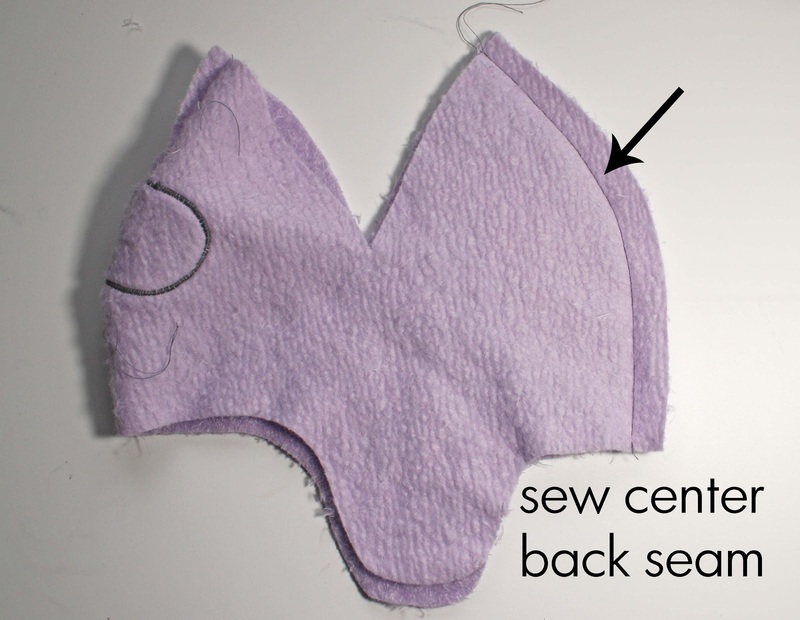 Determine how long you prefer the straps and sew braids to right side of lining at center of ear flap. Pom poms should be up toward head. Sew forward and back in seam allowance to secure straps. Place outer hat (inside out) over lining (right side out) with pom poms up in hat and align bottom edges. Sew around bottom edge of hat, making sure to leave a section unsewn that will make a 4-5″ hole for turning. Position hole at back of hat. 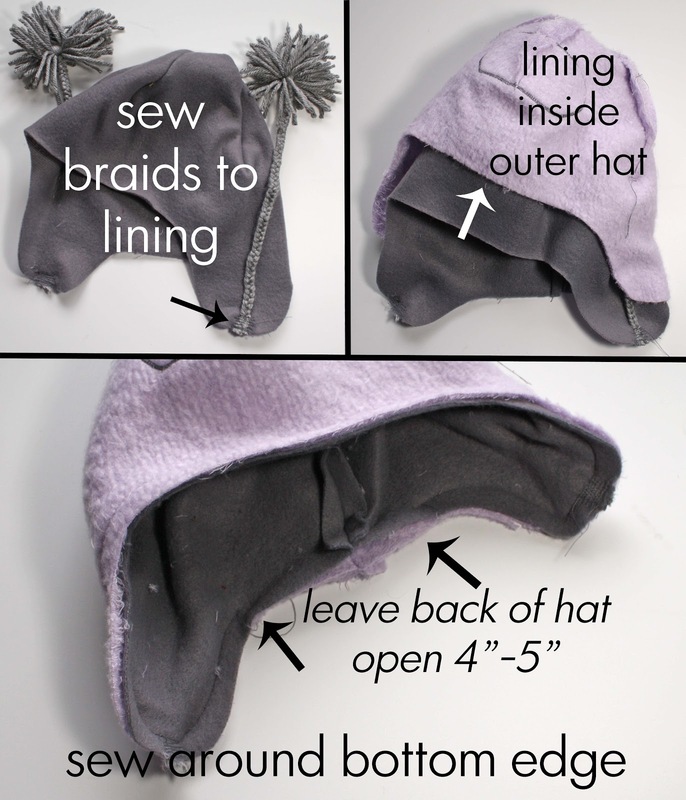 Pull both outer hat and lining through hole, turning hat right side out. Push lining back up into hat and smooth out edges, especially around ear flaps. Fold raw edges under and pin hole closed. Top-stitch around bottom seam of hat 1/4″ from edge, sewing hole closed and finishing bottom seam. Thanks for having me Jen and hope this pattern and tutorial make some quick gifts for toddlers, kids, teens and even adults this holiday season! Oh my goodness – how cute are those??? I can’t wait to see what Jessica comes up with in 2013!! Click here to see more HAPPPY Holiday Ideas!! HAPPY Holidays — Make a Hot Cocoa/Tea Wreath! 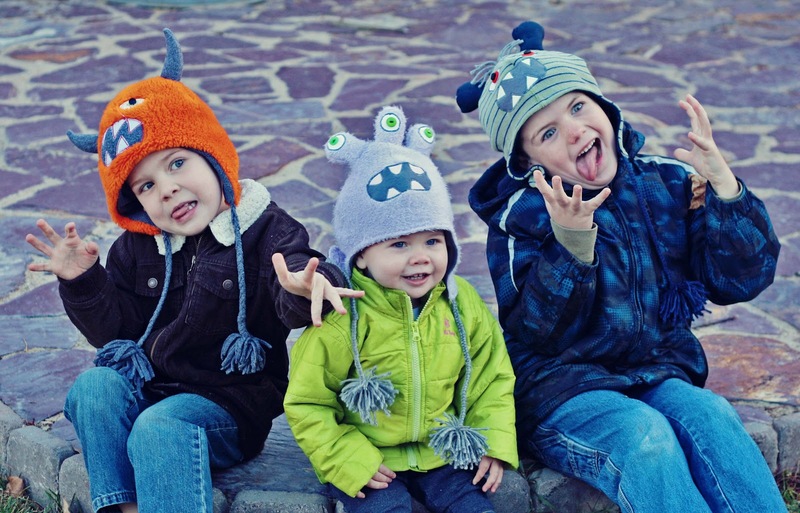 How cute are those!? 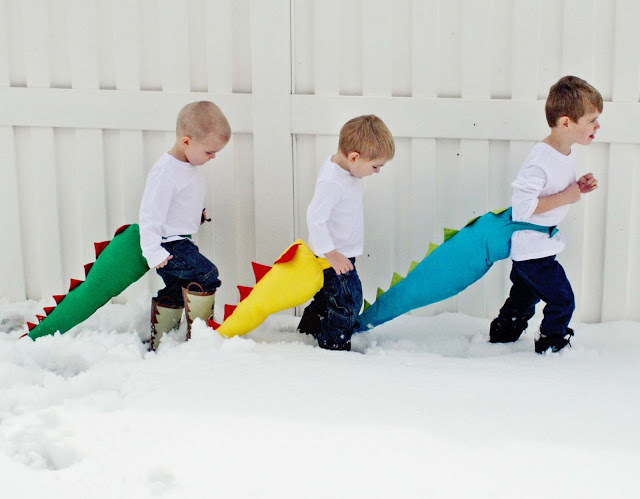 Makes me wish I knew some kids to make some for! It’s probably not too appropriate for a 50 yr old woman to wear a monster hat…is it? Jess – those are amazing! 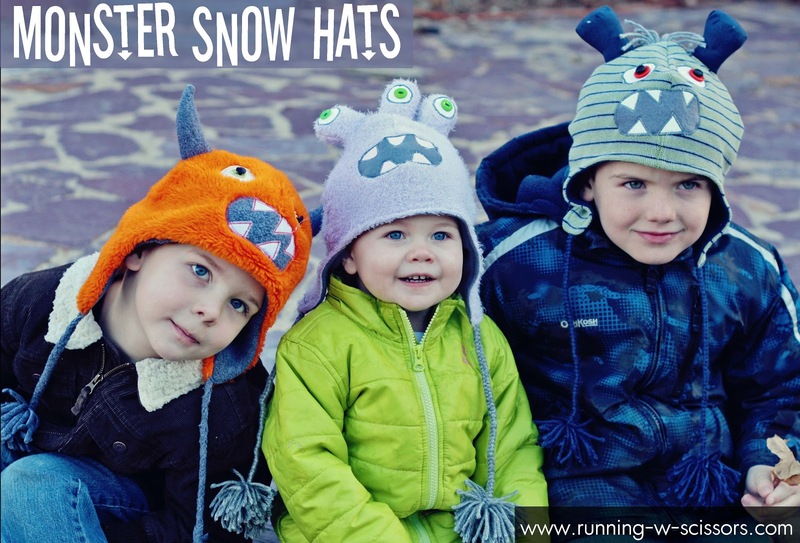 I love, love, love those hats!!! 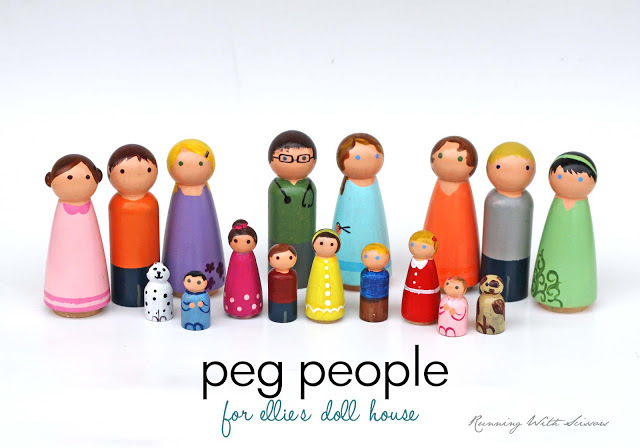 Thank you so much for sharing – they are fabulous! Those are so adorable Jessica. Thanks for sharing them with us! !